Winter in Madrid is set just after the bloody Spanish Civil War, with World War II looming over Europe. Reluctantly, Harry Brett looks for an old schoolmate who's become a person of interest for British intelligence. 1141. England is engulfed in war as King Stephen and his cousin, the Empress Matilda, vie for the crown. In this dangerous world, not even Emma, an 11-year-old peasant, is safe. A depraved monk obsessed with redheads kidnaps the ginger-haired girl from her village and leaves her for dead. When an archer for hire named Gwyl finds her, she has no memory of her previous life. Giordano Bruno was a monk, poet, scientist, and magician on the run from the Roman Inquisition on charges of heresy for his belief that the Earth orbits the sun and that the universe is infinite. This alone could have got him burned at the stake, but he was also a student of occult philosophies and magic. In S. J. Parris's gripping novel, Bruno's pursuit of this rare knowledge brings him to London, where he is unexpectedly recruited by Queen Elizabeth I and is sent undercover to Oxford University on the pretext of a royal visitation. C.J. Sansom's Matthew Shardlake mysteries whisk listeners back in time to the tumultuous court of King Henry VIII. Shardlake has his hands full this time defending a young religious fanatic who has been thrown into Bedlam. 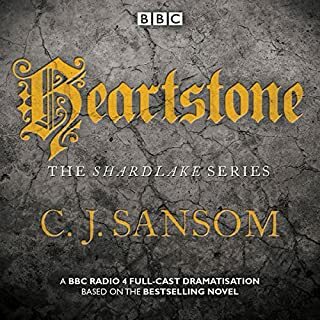 On top of that, Shardlake's friend is murdered, and the quest to find the killer leads Shardlake right to the steps of the king's latest romantic conquest, Catherine Parr. I heard about these books after hearing an interview with the author on the BBC. I thought the books would be interesting, but didn't anticipate lying in bed until 2 am still plugged in to my iPod, because I couldn't wait to hear what happened next. The story abounds with wonderful characters, excellent twists of plot and a well-researched ambiance. 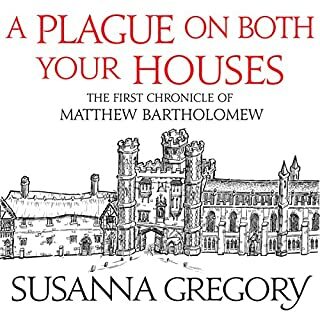 I'm looking forward to listening to the entire Matthew Shardlake series. Would you listen to Revelation again? Why? Yes, If I was confined to bed I would listen to the entire series again. Why? 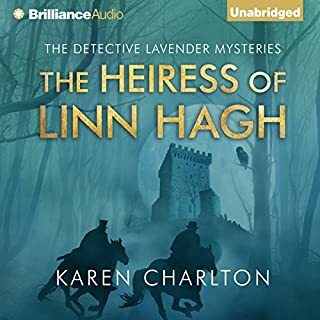 The stories areso intriguing that the first listen is devoted to just finding out what is going to happen and to solving the various mysteries the author introduces. The next time around I would listen the delicious historical details. What other book might you compare Revelation to and why? 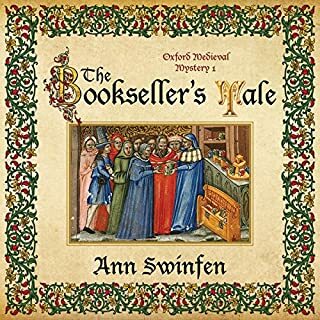 Similar to Connie Willis, the author packs in both grand historical era and the details and characters that bring them to life. Both authors are fastidious researchers and take a year or more do do their research. The narrator introduces the various accents and pronunciations the undoubtedly set apart the various classes although of course we don't know what they actually sounded like. 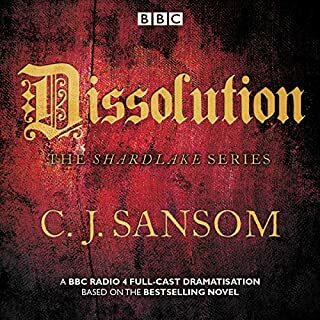 The Shardlake books make a marvelous series and the people that write about the books being boring just don't get it. It is well worth sticking through the extensive set up Sansom walks us through at the beginning of his novels, introducing or reintroducing his characters, setting up several plot lines, etc. Revelation is not the strongest in the series, a bit contrived with the all the Book of Rev. symbolism and gruesome murders. But I still loved listening to it. Okay, it moves a bit slow at times but this book packs plenty of tension and mystery. I was able to figure some things out before Master Shardlake yet that did not dim my enjoyment one whit! The time covered was one of religious strife in England. I came away with a new appreciation of what an intelligent person in England must have gone through during those time. I also came away with a real sense of just how EVIL Henry VIII was. This man brought terror to a land that had been fairly content. Really good story as well as giving you an excellent feel for life in the period. Some parts were a bit gruesome, but that was life during the period. Overall, an enjoyable series. I am such a fan of this series. Sansom mixes history and mystery in these superb historical thrillers. 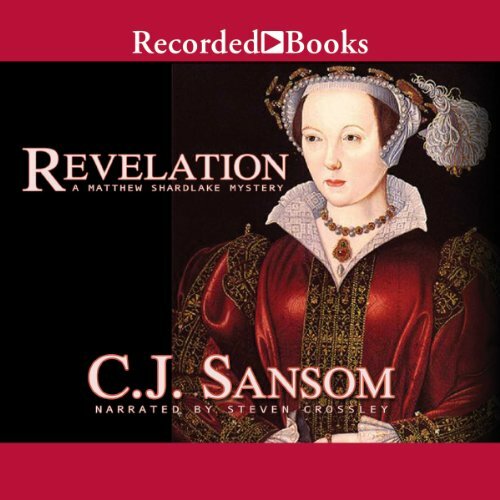 Revelation is a fascinating glimpse into the religious turmoil that marked Henry VIII's reign. Steven Crossley's narration is so well done. Cannot recommend this series too highly. So I am a sucker for the Tudor Period. I enjoyed this so much I immediately downloaded others by the same author. I enjoy this series very much. The historical background is interesting and still pertinent in today's world. The stories are well written and well performed. I look forward to more. If you could sum up Revelation in three words, what would they be? Yes, i'm now on my 3rd Shardlake mystery. Have you listened to any of Steven Crossley’s other performances before? How does this one compare? The story was well structured, easy to follow and enough clues to keep me guessing, but not obvious enough for me to figure it out before the end. I enjoyed Sovereign a bit more, but i would recommend this book to anyone. 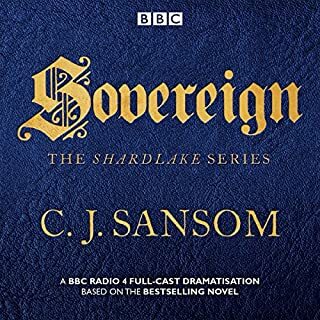 I've become a devotee of Sansom's Matthew Shardlake mysteries because they give an idea of Tudor England from the point of view of someone who actually lived then and was involved in the machinations. I know enough of the history to have the story ring true. Sometimes I wonder about the language, but the language of the era varied a great deal. The history is great and the mysteries involved are well-plotted and believable. 20 hours? Seemed like 40. Yes, there is interesting historical perspective; yes, there are a variety of interesting characters; yes, there is a plot line of continuing killings( very gruesome) and the mystery of who is doing the killing, but it takes forever for the story to move along and even when the killer is revealed I was disappointed to see there was another hour until the end. I kept listening, convinced that it would surely get more engaging....never did. I was well into 6 hours before anything at all happened. Previously I listened to "Company of Liars" and "Mistress of the Art of Death", which I found much more interesting and suspenseful. The narrator was excellent, but the novel, while well written, is just too slow for my taste.